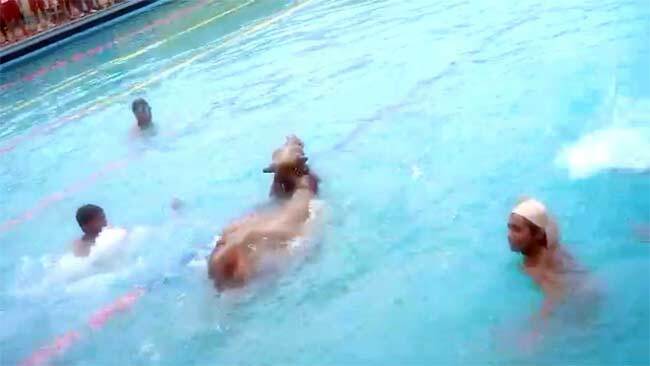 It was meant to be a state level swimming competition but moments before the race when contestants were practising in the pool, a bull gate crashed and jumped inside the pool. It took over an hour for the bull to be pulled out of the pool. The race was delayed due to this incident. The incident took place in Mandsaur, Madhya Pradesh. Gayi Bhains Pani mein. Reminded of this on seeing this news.